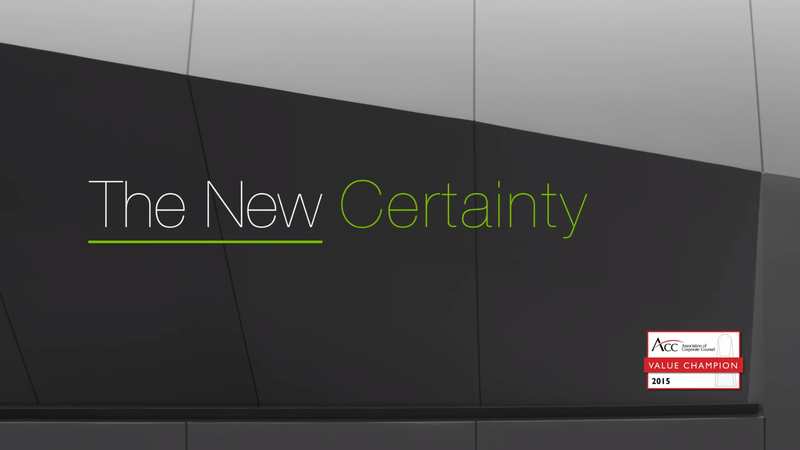 In today’s legal world, Novus Law is The New Certainty. Novus Law won an InnovAction Award for The Novus Process (2008) and Novus Accelerate (2017), making us only the second two-time honoree. "Novus Law creates work product right out of the box, so clients see their cases come alive three times faster than normal." "Novus Law’s ability to find patterns in mountains of materials…allows clients to build novel factual theories to win cases." A complaint or anticipation of a lawsuit, a subpoena or the need for an internal investigation, or a request for information by the government, any of which require finding information in documents, is a catalyst for hiring Novus Law. Working closely with and under the direct supervisory authority of our client’s preferred law firm, Novus Law transforms the mountains of documents and other case-related materials processed by an eDiscovery company into the finished work product our clients and their law firms can use with confidence to pursue their legal strategy. Novus Law works with our clients and their law firms throughout – answering questions, finding and organizing additional evidence, and when necessary, even going to mediations, arbitrations or court to help them execute their legal strategy. Throughout a matter and until the very end, whether it’s months or years, Novus Law is by our clients’ and their law firms’ side to help deliver measurably better results with The Novus Process™. By promising fixed fees, measurable accuracy and the timely delivery of our work product, Novus Law gives you a precious asset - The New Certainty that allows you to pursue your legal strategy with confidence.